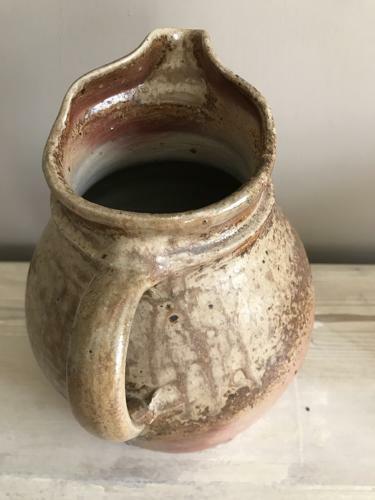 We love these antique pottery farmhouse jugs. This is one of my favourites so will be sad when it sells. It has such a great shape from all angles and old firing marks that vary on each side. Always a great present for someone!